Population aging experiences different circumstances in different regions of the world, sided by varied responses to aging-related issues. Francesca Bettio & Janneke Plantenga’s study ‘Comparing Care Regimes in Europe’ (2008) provides a good way of thinking about the structure and division of (elderly) care responsibilities in different countries through the notion of the ‘welfare mix’. The idea is that care constitutes a mix of family, market and state care provision, and as such every country produces its own mix of care. Below we look at population aging and responses to issues relating to population aging in different regions of the world through the lens of the welfare mix, while making a division between the ‘developing’ and ‘developed’ world. Africa is our most youthful continent, but in a few decades it will be home to an extremely large share of the world’s aged population. Being such a young continent, most time and money is invested into youth empowerment, leaving elderly largely ignored and excluded. Still, in most developing regions, such as many African countries, the family is the foremost important provider of elderly care, together with informal programs provided by institutions such as the church (Darkwa & Mazibuko, 2002). Yet due to all sorts of social transformations, including rapid urbanization, rural-urban migration and youth migration to more developed countries, the care practices of the extended family are particularly under pressure. Considering the fact that very few well-developed national social security, health care, and education programs exist up until now, aged populations are already facing increasing problems. Appropriate measures are still largely missing, but must be taken soon rather than later. China too is undergoing changes of family ties, which is directly affecting its status of elderly care provision. Rooted in Confucian culture, the family has been the most important source of social support for centuries in China too, but, similar to African countries, processes of industrialization and urbanization challenge the motivation, time and resources to care for aging parents or grandparents (Zhang, et. al., 2012). Hence, it is becoming more and more acceptable for older people to reside in elder nursing homes, and as such there already exists a shortage of these kinds of institutes. In dealing with population aging, recently, China has been making an effort to improve its old-age pension and medical insurance systems. Large variations exist between urban and rural areas as the system is tied to people’s locality, and in general people tend to be better off in urban areas. Moreover, the Chinese government, together with research institutes and the media, has developed aging education and health promotion. For instance, TV programs presenting scientific knowledge about mental health and medicine among other health related topics are becoming increasingly popular. Lastly, in the spirit of Confucianism, China tries to strengthen family support through law enforcement. The long-standing Law on Protection of the Rights and Interests of Older People has been amended in 2011 and now requires that “adult children of older parents are required to visit their parents regularly and must care for their spiritual needs and cannot neglect or isolate them” (China Daily, 2011 in Zhang, et. al., 2012). Boasting the world’s largest population, China is expected to front the largest aging-society challenge of any country in the world. As mentioned, Japan is the most aged country in the world, and as such, it is closely monitored by other aging nations worldwide. Until 2000, social care provision by the state was non-existent in Japan. In 2000, long-term care insurance was introduced and has grown into a highly popular scheme. All those over the age of 40 pay an affordable premium now, which gives them access to a wide range of care services once they reach the age of 65 (Holder, 2014). Given the system’s popularity, costs have spiralled, which introduces new challenges to the Japanese government. One measure already taken is raising the retirement age from 60 to 65. Of course, Japan is also famous for its high-tech branch, and so it should not come as a surprise that it has also invented techy solutions to its population aging issues. 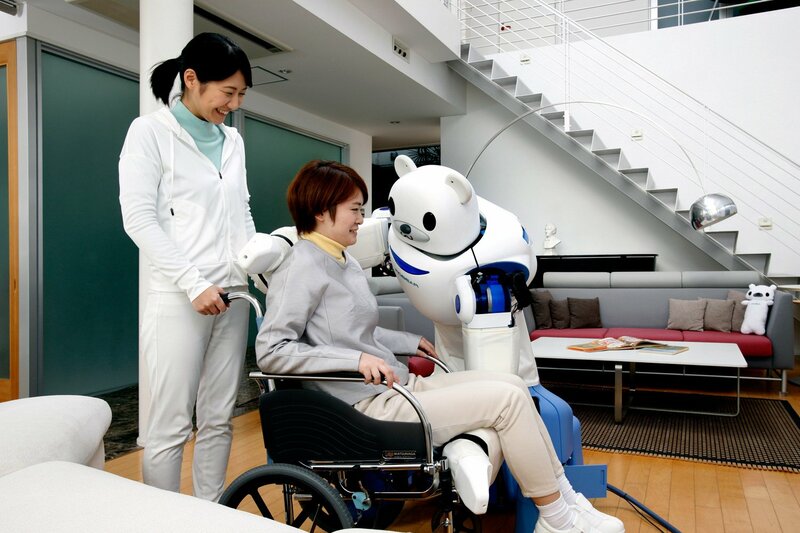 For instance, the market for elderly care robots is forecasted to grow rapidly, and companies are developing products especially geared towards the elderly population, such as driverless cars and intelligent toilets that measure the health of older people. Population aging is also advancing in Europe and the USA. In Europe we see that national governments are trying to alter the division of care between the family, the market and the state. Some European countries with well-developed care systems, such as the Netherlands, encourage families to take responsibility of elderly care again, due to inflating health care costs. 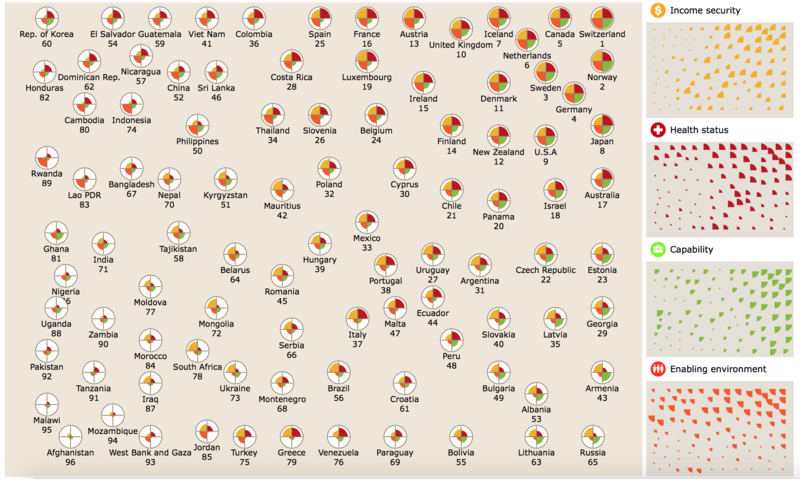 The Mediterranean countries still mostly dedicate care to the family (although, at the same time, social care and pension systems are relatively well-developed), whereas, on the other extreme, the Scandinavian countries depend much more on collectively organized care services (Bettio & Plantenga, 2008). Often, care systems of the Scandinavian countries are internationally celebrated, but more developed collective care does not mean better care, per se. As a side effect, the way that care is organized in most Scandinavian countries may weaken intergenerational ties as care becomes wholly detached from families. Austria and Germany take the middle road and encourage families to take care of the elderly through the provision of financial aid as well as time-off arrangements to the working cohorts. In the USA, universal care is not yet existent; it is driven by the private market. Assuming that the developing world will face the greatest challenges when it comes to population aging, it is alarming to see that national strategies geared towards population aging are largely underdeveloped. Elderly care still heavily depends on the family in developing countries, despite the fact that intergenerational ties are rapidly weakening. However, China has taken up some interesting measures in dealing with population aging, such as the introduction of informing TV shows and the strengthening of family ties through law. In the developed world there seems to be a more balanced division of care between the family, the market and the state. If we are to care for our aged populations adequately and respectfully, we must understand that elderly care is a shared responsibility of the family and the business community, as well as non-profit organizations and governments. Bettio, F. & J. Plantenga (2008) Comparing Care Regimes in Europe, Feminist Economics, Vol. 10:1, pp. 85-113. Darkwa, O.K. & F.N.M. Mazibuko (2002) Population Aging and its Impact on Elderly Welfare in Africa, International Journal of Aging and Human Development, Vol. 54(2), pp. 107-123. Holder, H. (2014) Japan’s solution to providing care for an ageing population. The Guardian, 27 March 2014. Zhang, N.J., M. Guo & X. Zheng (2012) China: Awakening Giant Developing Solutions to Population Aging, Gerontologist, Vol. 52(5), pp. 589-596.